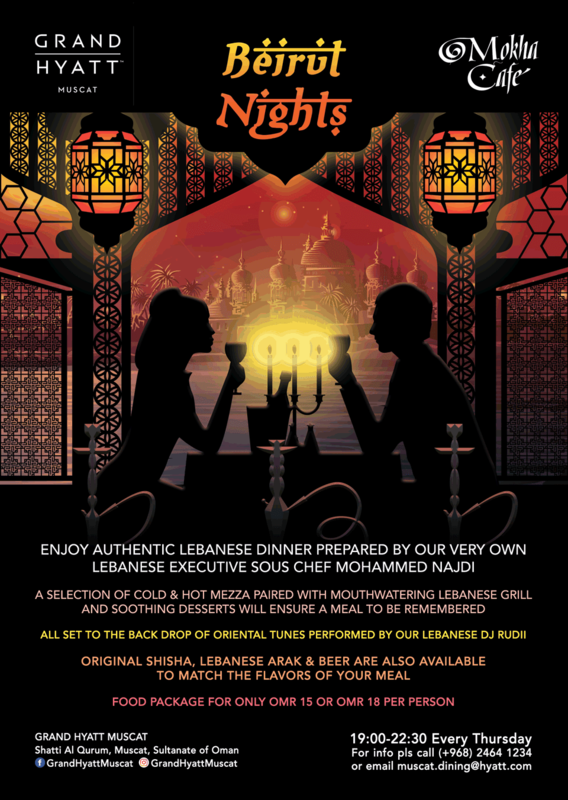 Every Thursday night between 7pm and 10:30pm for a fixed price of RO 15 (or RO 18 if you choose a different menu) per person, there is an authentic Lebanese dinner on offer which is prepared by the Hyatt's Chef Mohammed Najdi, who as I'm sure you've probably deduced, is Lebanese. 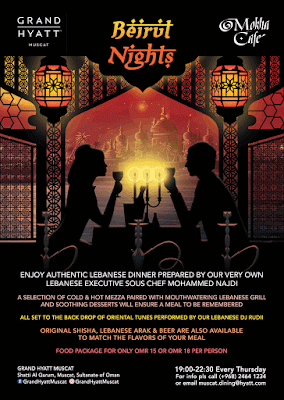 There's Shisha, Arak & beer (Al Maza) also on offer, at extra cost, but with the atmosphere it makes for a nice laid back way to start the weekend. You can get more info by emailing them at muscat.dining@hyatt.com or by calling them on +968 2464 1234.